Awesome news for fans of stealthing games! Thief franchise will indeed get a new sequel after long wait since last game was released (2004). Original games had a great atmosphere and some of best action game missions ever released. 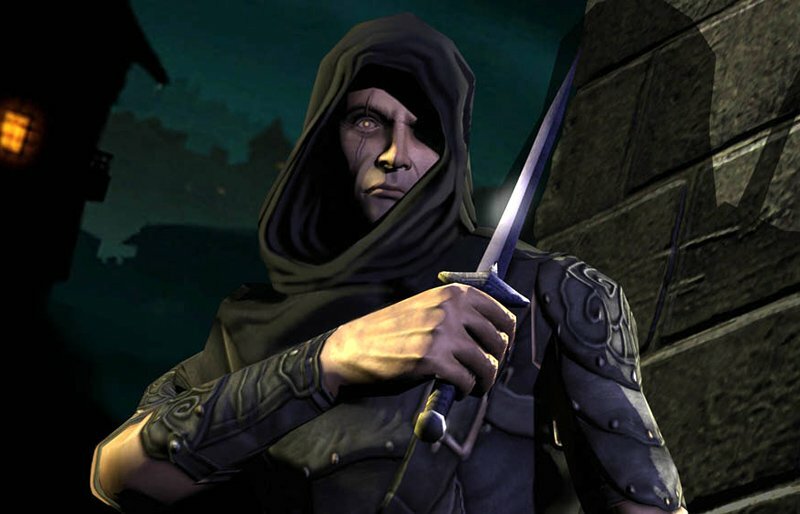 Thief was one of first game franchises effectively using sound as important gameplay element - detecting footsteps and their direction as well as listening enemies to talk or shout "who's there!?" was vital part of staying alive in the game. As a matter of fact I've always enjoyed Assassin's Creed franchise - which may be either truly influenced or just accidentally had similar aspects than Thief franchise. Whatever's the case - Assassin's Creed - while enjoyable and great game franchise - does not manage to generate in my opinion as good atmosphere with stealth action than Thief 1-2. Using your stealhy movement and listening sounds and noises around you was the key to the glory and worked fantastically with ambient sounds creating atmosphere. Simple but mentionable thing also was that Thief was one of first, if not a first game where you could "peek around a corner" from behind it to check if anyone was coming. Not to mention messing around with light sources shutting down torches with water arrows from safe range to create more shadowly cover. The hero - a thief called Garrett - was one of the most memorable characters in gaming history. The story in first two parts was very interesting telling the tale of Garrett very gruesome and mysterious way. You were always keen to see next story cutscene after each mission which carried the tale on. Not much has been told about Thief IV (or Thi4f) yet but it's in a making and it is being developed by Eidos Montreal. Game developer who has yet almost finished with long awaited Deus Ex sequel (Deus Ex 3 - Human Revolution) being released at US: 23/08/2011 and Europe: 26/08/2011. This also makes one wonder whether Eidos will be using same game engine in Thi4f than in Deus Ex? This would save them time using engine they are already familiar of and perhaps be able to focus more gameplay content. If this is the case then Deus Ex Human Revolution could reveal hints of how the engine will play out in Thi4f. My personal guess is we could be expecting Thi4f to come out later 2012 or early 2013. I'm personally very excited about this and hope they will make it faithful to original first parts of the franchise with great stealth gameplay and atmosphere as well as catchy story. We'll be waiting to hear more soon!